Allergy and Asthma Treatment Center (Glendale) - Book Appointment Online! Allergic disorders including nose and eye allergies, skin allergies, sinus problems and asthma are the main focus of the Allergy and Asthma Treatment Center. 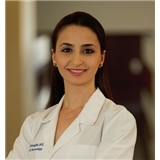 As an allergy specialist board certified by the American Board of Allergy and Immunology, Dr. Demirjian can perform testing to a variety of allergy causes including pollens, animals, molds, foods, chemicals and metals.